As Chairman of dampits International Inc. and a touring concert pianist, David Hollander knows the importance of a well cared for instrument. David continues the same commitment to product quality and customer care that dampits has provided worldwide since 1960. 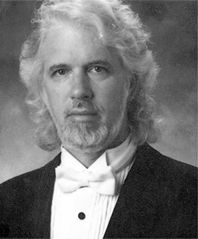 The Hollander name has been synonymous with music for over 100 years, spanning three generations. 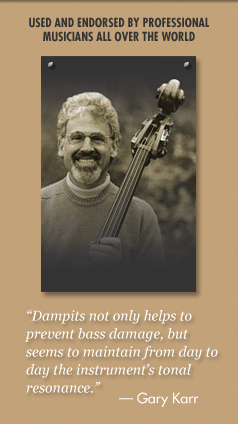 The same dedication the Hollanders gave to their art, the care and attention they gave their instruments, lead to Ralph Hollander's vision and invention of the dampit. 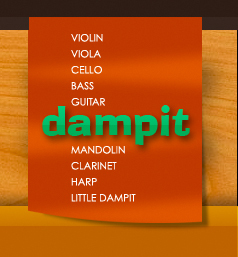 The Dampit is available for the following instruments: violin, viola, cello, bass, regular guitar, super guitar, clarinet 1st joint (oboe) and clarinet 2nd joint (English horn), alto clarinet, bass clarinet, bassoon—wing joint (cello), bassoon—bell joint (bass), harp, piano, harpsichord, oboe, mandolin uke (violin with clip), timpani (if leather covered, use bass). Tair shares the reins of the fifty-year-old company with her husband, David Hollander. In the past, Tair served as a registered consultant with the International Monetary Fund (IMF), the World Bank (WB) and the Agency for International Development (AID) for 10 years. She assisted in the preparations of preliminary information needed for investments in the developing nations of Africa and Latin America. Tair advised on the prevailing political status, financial history and the amount of financing needed for operating results in developing nations. She also recruited private investors to participate in financial joint ventures, identified and promoted new projects with nation-wide economic impact potential. In 1990 she began to serve as an advisor for some of the local governments for these developing nations in the ascertainment and implementation of development capital.